Maria Butler, Psy.D. is a licensed clinical psychologist and formally trained pediatric neuropsychologist. Her approach to neuropsychological assessment has been informed by following human development across the lifespan and conducting evaluations with children, adults, and geriatric populations. She has gained in-depth experience providing services to children, adolescents, and young adults presenting with a variety of mood and behavioral disorders, rare genetic and congenital disorders, in-utero drug and alcohol exposure, autism spectrum disorder, complex medical diagnoses, epilepsy, cancer, cerebrovascular disease, spinal cord injury, acute medical illness (e.g., meningitis), chronic medical illness (e.g., Lyme disease), neurocognitive disorders, and psychiatric disorders. Her areas of expertise include neurodevelopmental disorders, Traumatic Brain Injury (TBI), concussion, epilepsy, late effects of in-utero exposure, and acquired brain injuries. Dr. Butler conducts comprehensive neuropsychological evaluations, examining the individual’s cognitive, emotional, and social functioning. She values extending interventions and psychoeducation beyond the client’s immediate family system to the school system and other health providers. Each of her treatment plans and stimulation protocols is developed with the collaboration of clinical providers (e.g., physiatrists, neurologists, medical providers, therapists) in order to provide optimal care and develop interventions and recommendations for individuals presenting with varying levels of insight and engagement. Dr. Butler earned her doctoral degree in Clinical Psychology with a specialty in Neuropsychology and Health Psychology from the American School of Professional Psychology Washington D.C. She completed her internship in neuropsychology at NeuroRehabilitation Services Goodwill Industries of Northern New England and her fellowship at Mt. Washington Pediatric Hospital/Johns Hopkins Medical System and the University of Maryland Medical System, both CARF accredited institutions. Dr. Butler has trained in several specialty clinics, including the Concussion Assessment and Management Program (CAMP) of Mt. Washington Pediatric Hospital and the Child Development Clinic of Children’s National Medical Center. She has otherwise gained extensive training in inpatient, outpatient, and rehabilitation hospital settings. 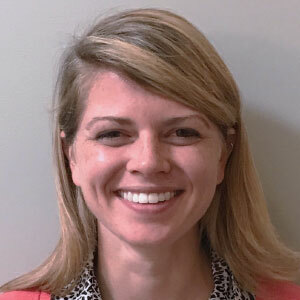 Dr. Butler is also an affiliate graduate professor at Loyola University Maryland and has supervised practicum and intern students, playing an active role in their development as clinical psychologists and neuropsychologists. She has conducted community-based presentations in order to provide psychoeducation and resources to members of the community and other professionals as well as raise awareness to changes in insight following the expression of neurological disorders. Dr. Butler has otherwise conducted research on evidence-based practices to improve emotional and behavioral regulation and executive functioning skills following moderate to severe TBI, and she has presented research on changes in emotional functioning following stroke.